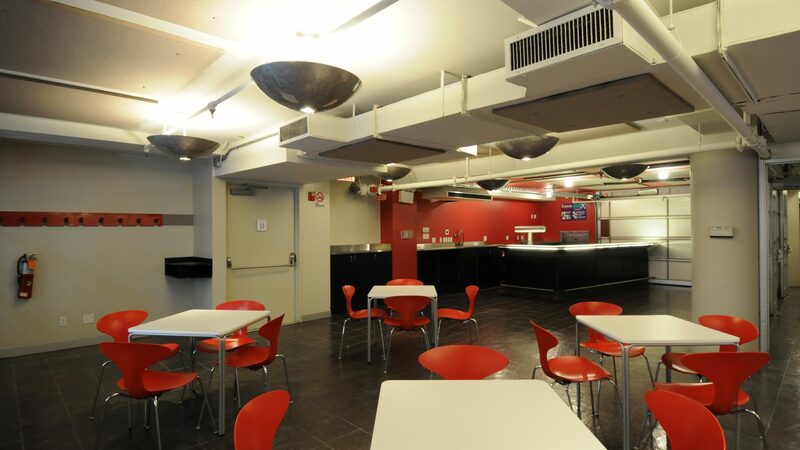 The commons area on the lower level is open during building hours for noisier activities like meetings, games or music. Students may use the commons area on the lower level during building hours for group projects, large meetings, and social activities. It’s your “loud lounge” in the building. Also, ask about board games available for students to borrow! No reservation is required, but on occasion this area may be in use for official functions or classes, and students may be directed to other appropriate areas in the building in those instances.